How much gravel would I need to buy for my garden ?? 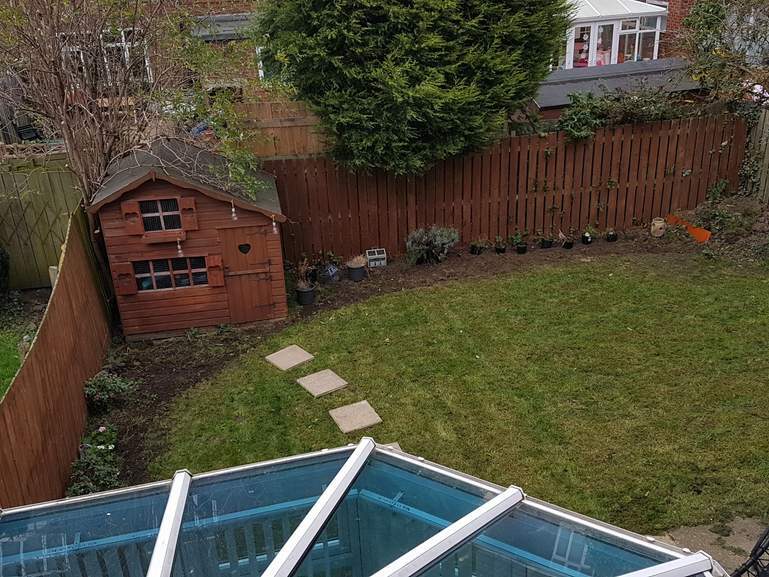 Just want to get the back and side done where the plant pots are with some gravel or stones so no weeds are anything start growing back.. . would you get them from b and q or cheaper online ? It comes in ton bags from merchants and they are roughly a cubic metre so as a rough guide you can cover 10 metre squared at 10cm depth 20 meters squared at 5cm depth and so on! Looking at the picture I would guess at a minimum of a tonne, and as has already been said you will need the membrane, sometimes when shopping around online you may find offers where they throw in a roll for free. I would avoid B&Q and try your local builders merchant or just google and you'll find some easily enough that will be delivered, depending on the access to your property you can sometimes get it a bit cheaper if they can just drop it without the bag but I'm guessing that as it's the back of the house you will need it bagged, again you have a choice large tonne bags (cheapest) or individual smaller bags which are much more expensive but much easier to shift from front to back. The thing with gravel or stones is that you always seem to need more than you thought! Make sure you put weed suppressant membrane under the gravel to keep it clear of weeds , a roll or two should do (size of roll dependant ) . Maybe bark chips instead of gravel/stones ? Stones always seem to work their way onto the lawn and damage your mower .